David - awed and honoured by Weird Al at Animated recording sessions. 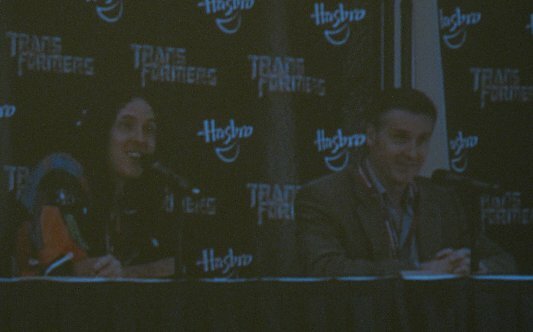 David - has a habit of doing Megatron over the past 10 years, so didn't expect to get the role of Optimus in the Animated series. David - Watched the 1986 movie for inspiration on how to do the role of Animated Grimlock. 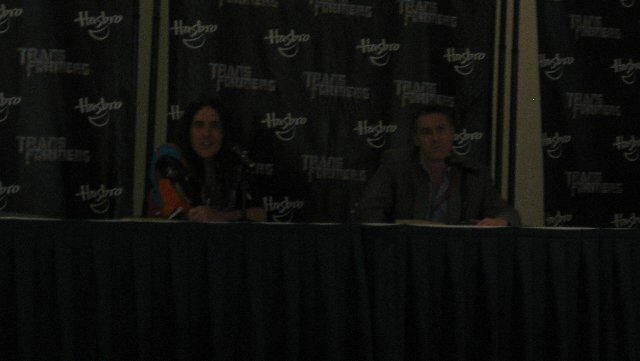 Weird Al was asked about how he does his parody songs. 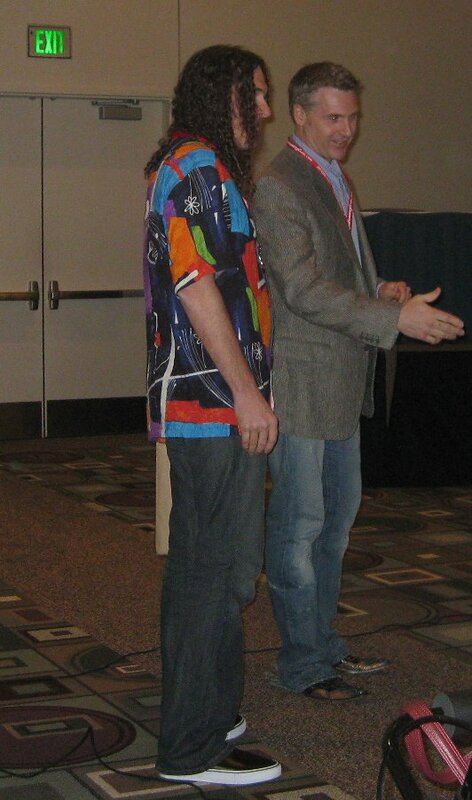 Improvisation - Weird Al followed the script, while David mostly did as well. The pair did some roleplaying of their characters. Weird Al - did one on someone's body, and they had it tattooed. David - autographed someone's baby that morning. 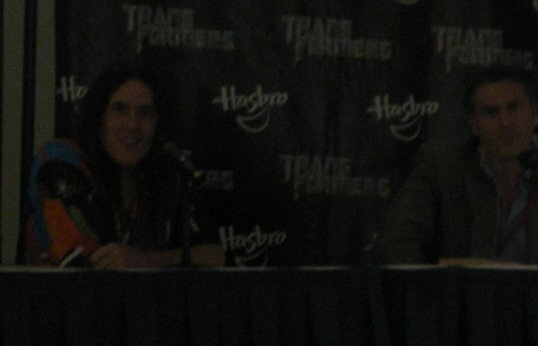 David - favourite TFs series so far is Animated, and favourite character he has voiced is Beast Wars Megatron. Highlight of Weird Al's career has been a guest appearance on the Simpsons. David has a role in Pixar's 'Up'. 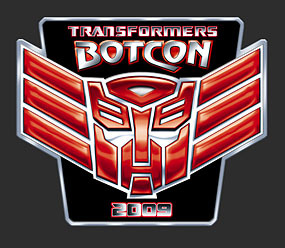 Weird Al - liking BotCon, and would have liked to have worked with the late Orson Welles.